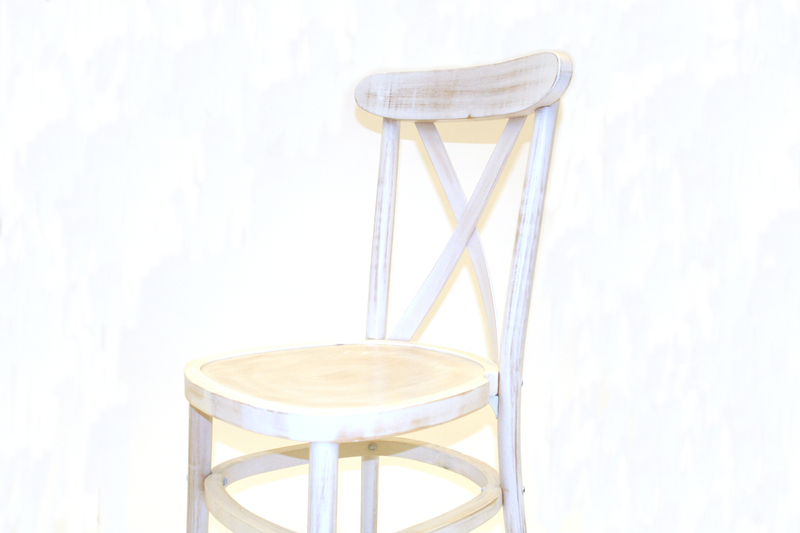 If you like the limewash Chiavari chairs but love the ‘on trend’ crossback look .. now you can have both. 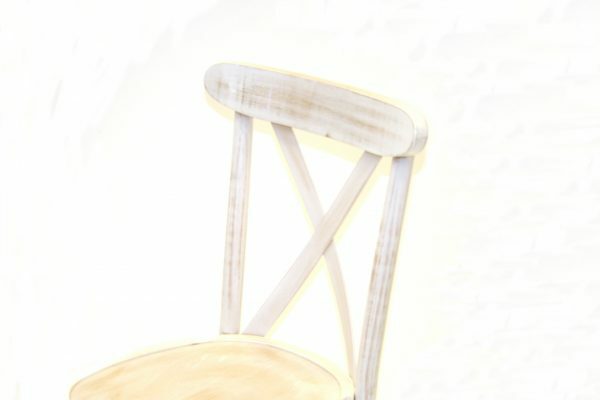 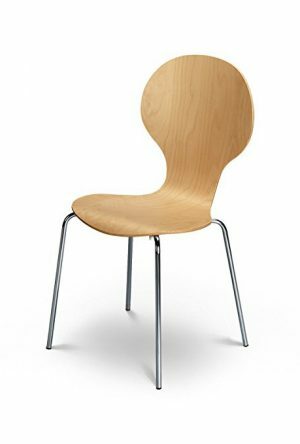 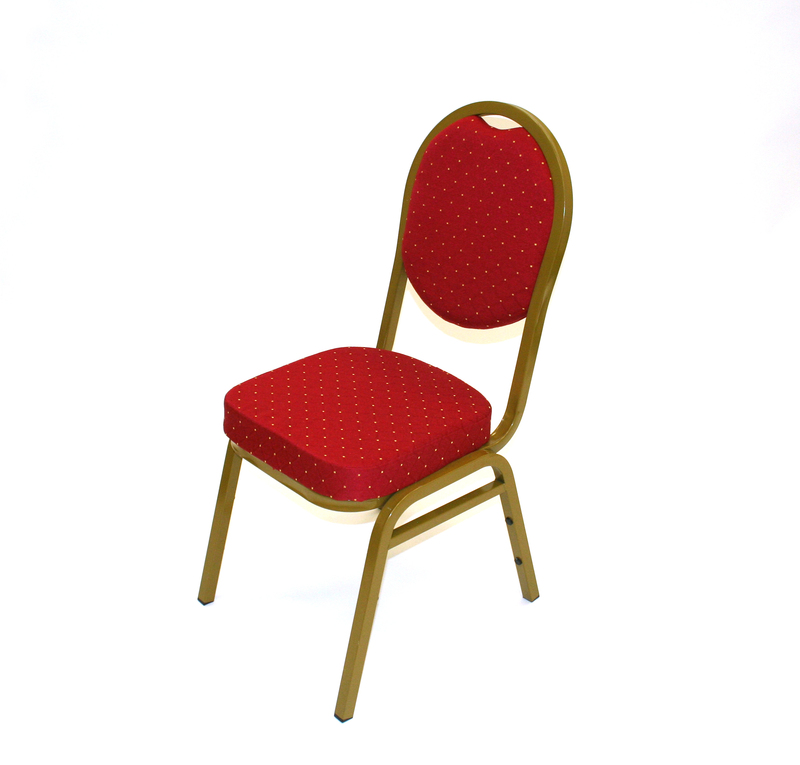 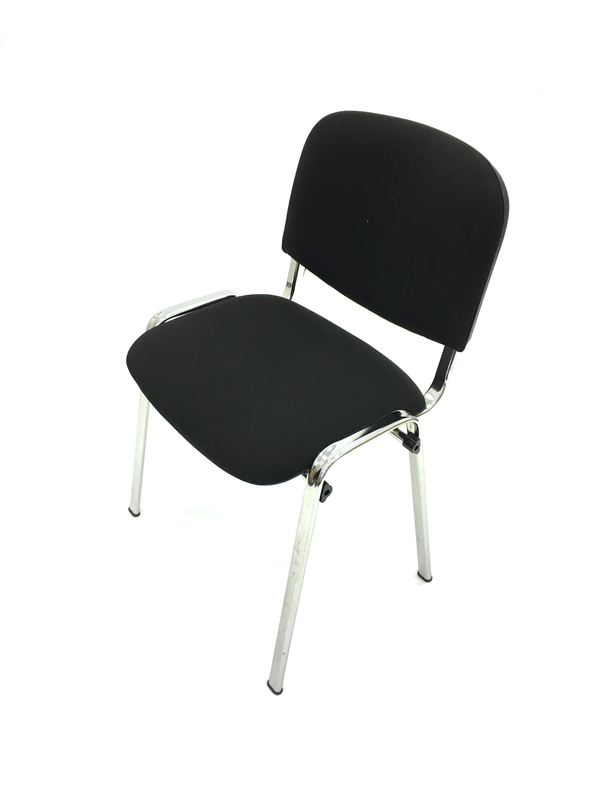 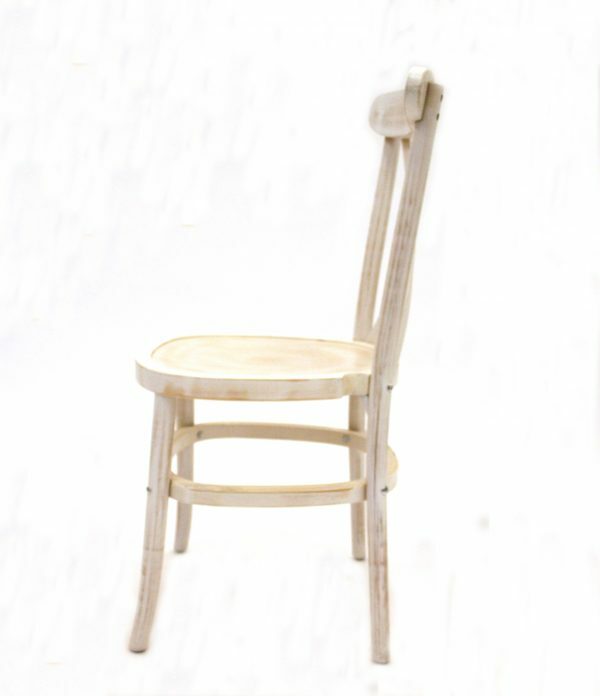 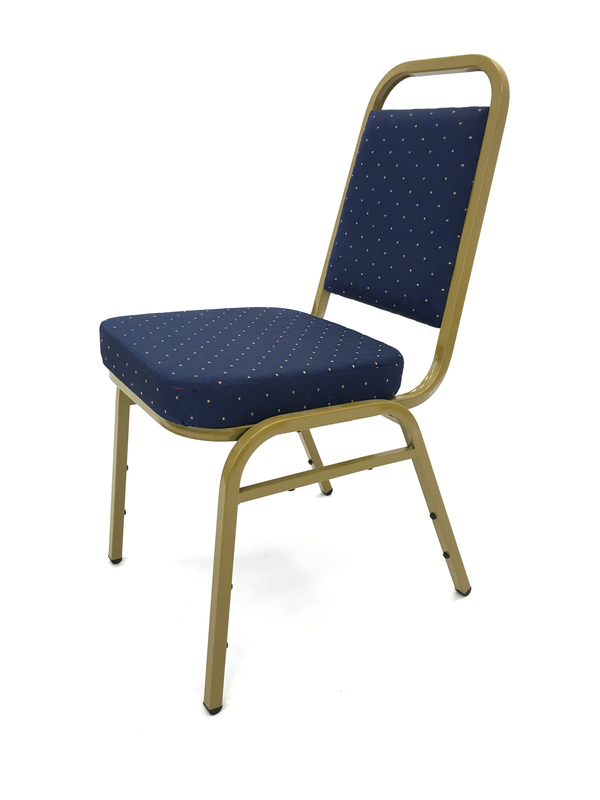 These chairs come with a choice of a white or ivory seat pad for an additional £0.50 per chair if needed which can be tied on for additional comfort if required. They are ideal for use alongside our rustic trestle tables and our distressed limewash tables and come with a wooden seat and a stylish slightly curved crossed back frame. 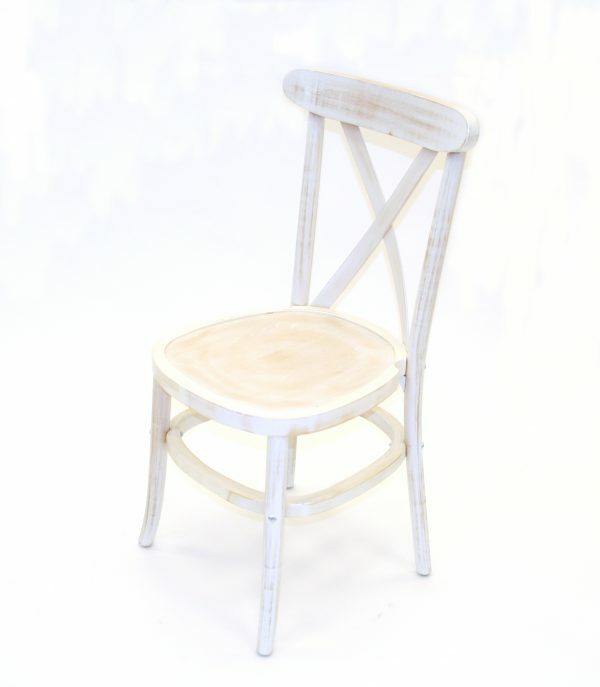 These rustic chairs are suitable for use indoors or a dry sunny outdoor day and they stack for storage. 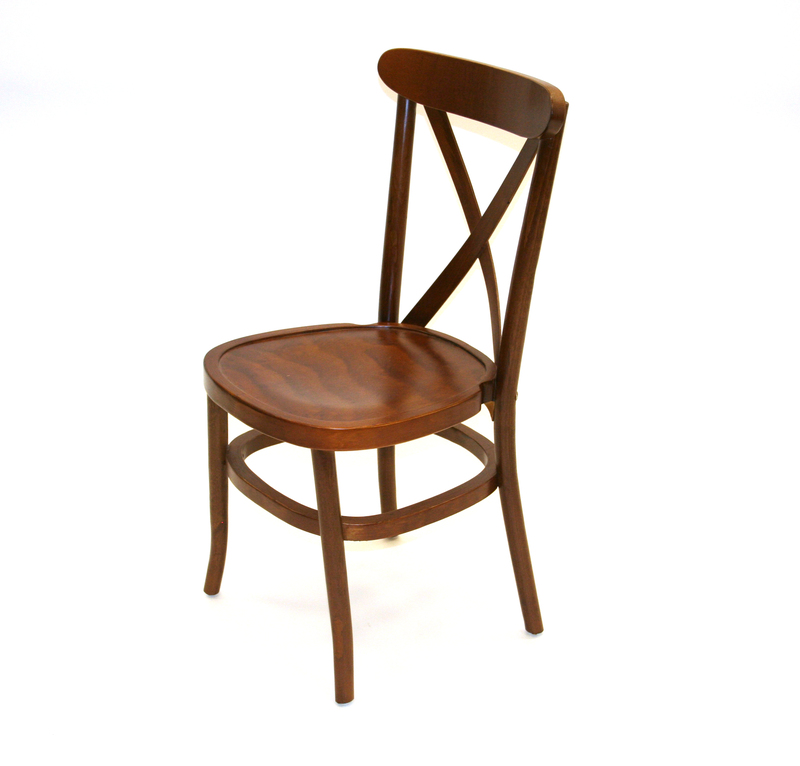 Also available in a traditional brown crossback chair.